This bird puzzles me. 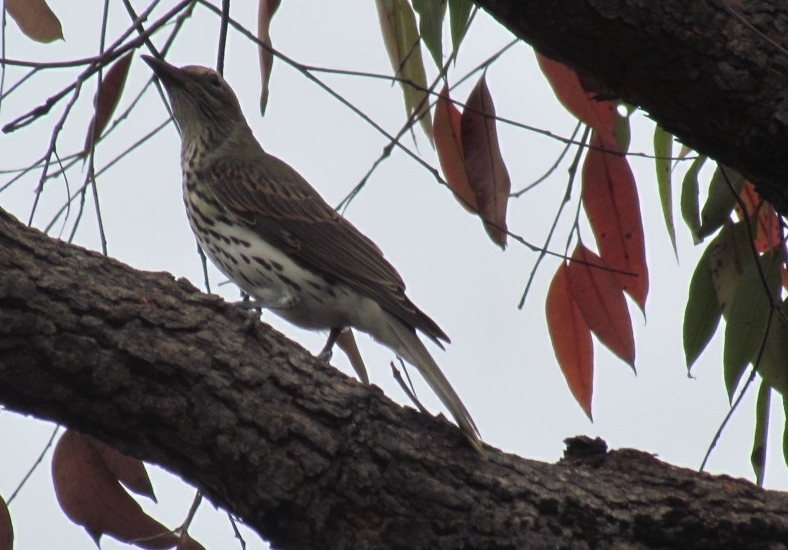 It’s about the size of a Red Wattlebird, and I’m thinking it’s some sort of Honeyeater, but I can’t find a match in my bird book. Perhaps it’s a juvenile. Does anyone have any ideas what it is? I saw it today at Manly Dam Reserve near Sydney (on the map: 33°46’37.5″S 151°14’49.5″E). Update on 24 April 2017: Carol Probets identified the bird as a young Olive-backed Oriole, in a comment on this post. Posted on 2017/01/29, in Birds, Oriole and tagged australia, birds, birdwatching, mystery bird, olive-backed oriole, Sydney birds. Bookmark the permalink. 2 Comments. 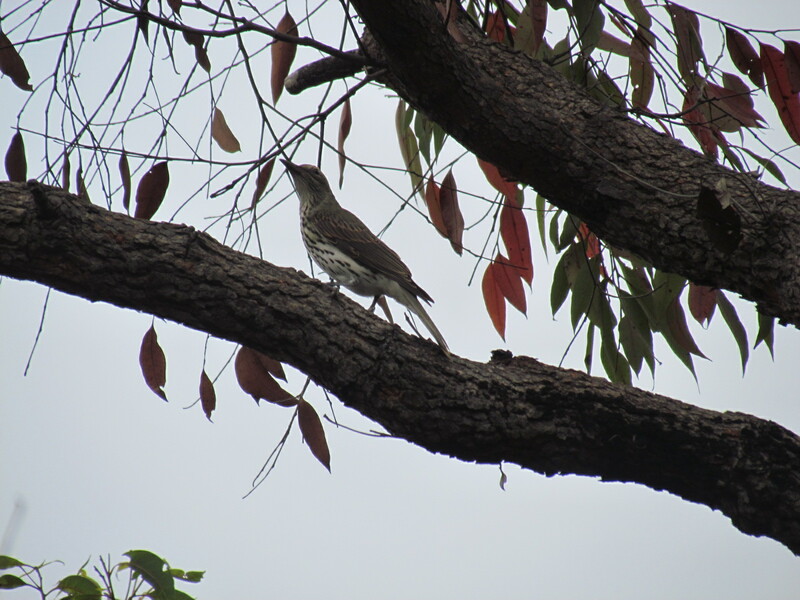 Hi Sarah, it’s an immature Olive-backed Oriole which doesn’t yet have the red bill and eye of the adult. A female figbird can look similar but the shape of the bill and the general colouring fit the oriole better. That’s great to know! This is the first time I’ve seen this bird. According to my bird book, it’s common in the north of Australia, and a migrant to the south east.